Ada pertanyaan untuk Mediterranean Beach Hotel? 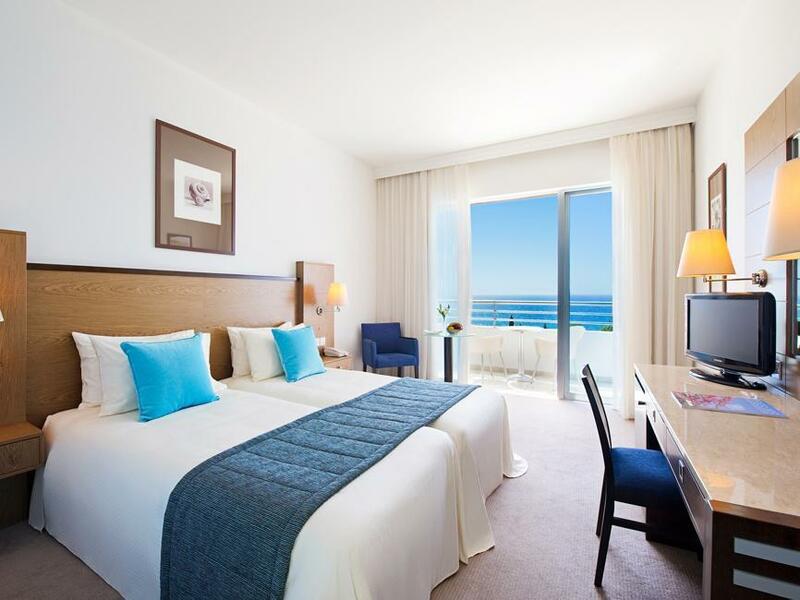 Mediterranean Beach Hotel, terletak di Pinggiran Kota Limassol, adalah pilihan yang populer bagi para wisatawan. Pusat kota terletak hanya sekitar 10 km dan bandara dapat ditempuh dalam waktu 70 menit. Amathus Ruins, St. Anna Church, Cyprus Land dapat dicapai dengan mudah. Gunakan kesempatan untuk menikmati pelayanan dan fasilitas yang tidak tertandingi di properti yang ada Limassol ini. Para tamu dapat menikmati fasilitas di tempat seperti WiFi gratis di semua kamar, resepsionis 24 jam, fasilitas untuk tamu dengan kebutuhan khusus, penyimpanan barang, Wi-fi di tempat umum. Properti ini memiliki 292 kamar yang didesain dengan cantik. Banyak kamarnya dilengkapi dengan televisi layar datar, ruang penyimpanan pakaian, akses internet - WiFi, AC, penghangat ruangan. Hot tub, pantai pribadi, pusat kebugaran, sauna, kolam renang luar ruangan yang di properti ini merupakan tempat-tempat ideal untuk bersantai setelah beraktivitas sepanjang hari. Temukan perpaduan menarik dari pelayanan profesional dan sejumlah fasilitas yang ada di Mediterranean Beach Hotel. Tempat tidur bayi tersedia apabila ada permintaan. Anak dapat menginap tanpa biaya tambahan di ranjang sofa. Booked this hotel knowing that is a 4star hotel. The room was ok, bed was great but apart from that everything else was unacceptable for a 4star hotel. I asked for a rope in order to used the indoor swimming pool they told me i am not allowed one because only deluxe rooms are allowed. I ask for slippers i got the same answer. Breakfast was too oily and not fresh. No shower gel in the bathroom only shampoo. No even a bottle of water in the room as a welcome. Reception staff who served me was rude and we had to wait for 45 minutes at 16.00 in order to check as in. Too many people and no available parking when we got back at night. If this is a 4 star hotel then i am a dinosaur!!! We stayed at the hotel on the 15th of August which is the peak holidays season in Cyprus and that's why hotels increase their prices a lot. 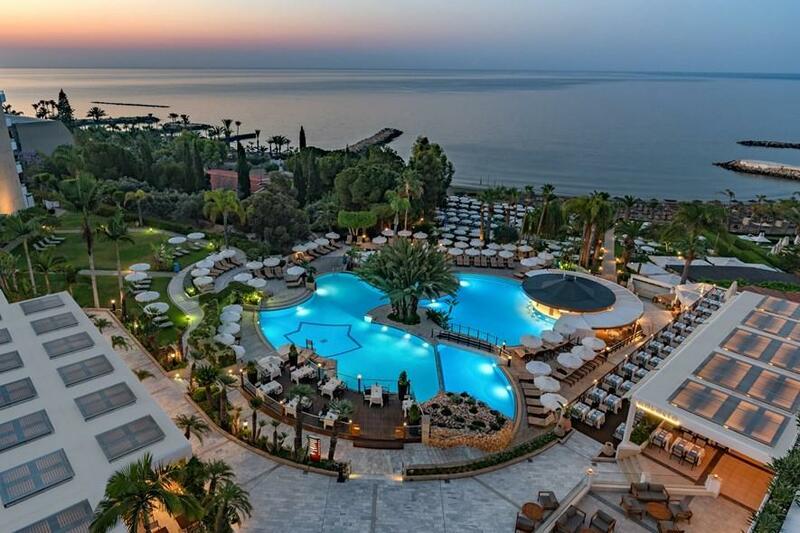 The price of € 160 per night was cheaper than other hotels in its own class in Limassol but still not cheap enough to justify some of its irregularities. First of all, the rooms should have been cleaner and more modern just how rooms in a 5 stars hotel should be. There was a spider web in the corner of our room and its furniture were very old. The fact that our room had sea view definitely made up for the price and the run down room. In addition, the languages that were prevailing in all the areas of the hotel were Russian and English which was very disappointing. As Cypriots we'd love to be able to wander around the hotel easily and see at least Greek written in some places (like the reception). I'm in favor of helping tourists overcome languages constraints but I find it rude to ignore Cypriot residents. Excellent service, super facilities, a really five star hotel by the sea!!! Large resort catering to bus loads of organised tour. So avoid breakfast after 8 and the buffer restaurant. Several other dining options on site and they are mostly deserted. Has its own beach and the pools are clean and adequate. Spa is however understaffed and perpetually full. The staff, the location, and the beach. A very enjoyable and restful stay at the busiest time of August. 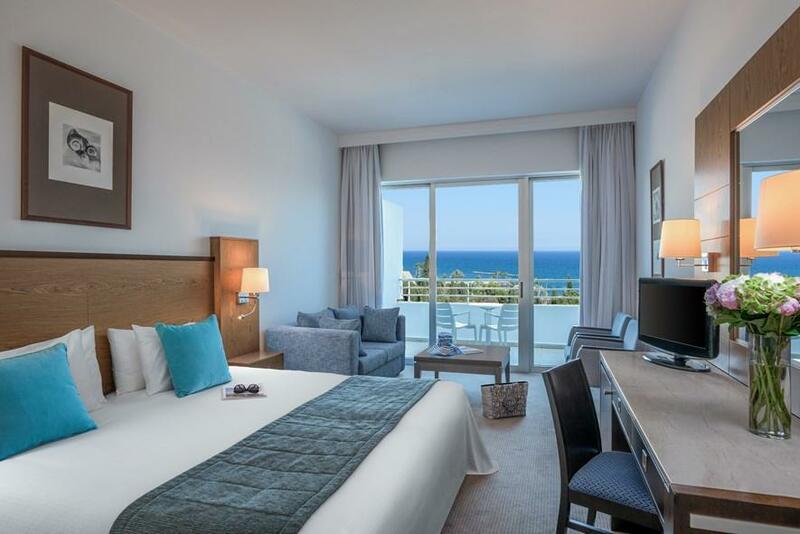 I can't fault the location as it is away from the hassle and bussle of Limassol but with very easy access to it. 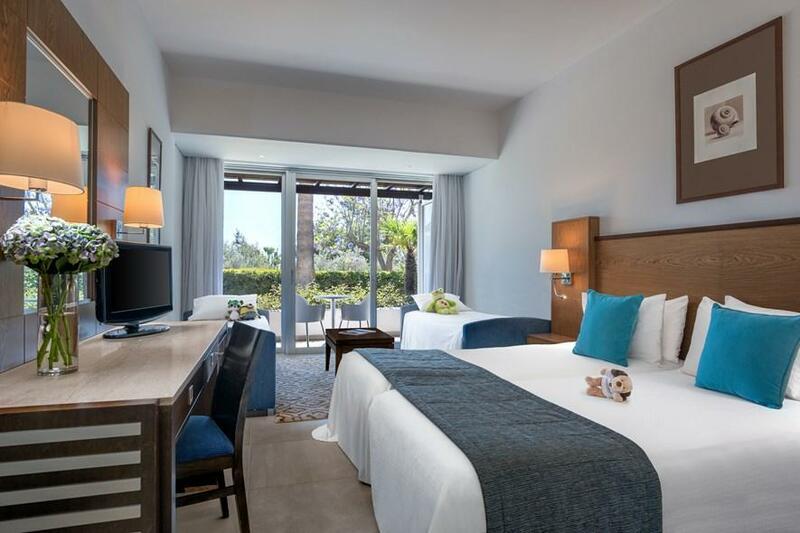 The rooms are clean and adequate and the staff are always ready to help. We had two rooms a sea view for us and a room for my teenage daughter and when we arrived ww weren't happy with the rooms we were given. Reception pulled out all the stops and we moved to excellent rooms on th same floor after one night. I would definitely stay here again. was an older property with a decent pool for the area and beach access. rooms are clean and the service is polite and helpful. the hotel is out of walking distance from most of the beach bars and restaurants, but only a 5 minute cab ride away. Lovely place and area. Nice staff. Easy to stay there. Breakfast serving was ready for improvement - except for the omelette ladies. They are adorable! The hotel is in general very calm. Everything is clean and fascilities work. The cleaning of the room was good. It feels nice to come back to a room to notice that the staff has put an effort into their work. I adored the seaview eating my breakfast and in general sitting outside in nice weather with people talking around is such a great treat when you start your day. Nice hotel if you choose a room with a sea view. We stayed in a room with view over the street, the traffic was very busy and loud all night. Very expensive to use internet! Good breakfast. I would highly recommend the Mediterranean hotel it was amazing, the hotel was gorgeous, the quality was fantastic and so was the service, really enjoyed my stay and will be going again in the very near future. Very comfortable and clean rooms, nice design of lobby area, few levels parking. Staff paid attention to the guests' requests. But the room was generally good, with sea view (without extra charge). On my birthday I got a good bottle of French champaigne complimentary from the hotel. All our additional requires was solved. They gave us and our friends (all couples) two twin beds joined together as they don't have double beds in the hotel. It was a good experience. The city is dead in WINTERS. So avoid going in winters to Cyprus. hotel de bonne gamme en bon état seule la facade mer est à recommander l'hotel a le même environnement que le Four seasons avec du dégagement devant coté mer , pour une jolie piscine et un jardin de qualité . hotel bien classé en 4 étoiles la rénovation a été bien faite: sanitaires et chambres exepté le mitigeur du lavabo d'origine. La salle de bains est équipée d'une baignoire ce qui n'aparait pas sur le descriptif. l'espace devant l'hotel est réussi avec une tres belle piscine, des espaces verts de qualité, et des espaces à bronzer tres agréables . Par contre la plage bien que très au dessus de ses voisines et bien que partagée avec le Four seasons voisin (5 étoiles) est grise et peu avenante. La mer est très accessible et sécure .Le personnel d'acceuil est en dessous des attentes normales ,sans sourires ,sans gentillesse ,et sans effort pour dire 3 mots en français . En dehors de cet acceuil , l'hotel est à recommander dans un très bon rapport qualité - prix . Il faut aller uniquement coté mer car le coté arrière donne sur le boulevard bruyant .Ne pas oublier que l'on est à plus de 10 kms du centre ville dans une zone hotelière de bonne qualité .L'hotel est facile d'acces en voiture depuis l'autoroute ,ce qui est aussi apréciable .